NorthEast based business launches a national Beam Design Service. On the website beamdesignservice.co.uk a customer based anywhere in the UK can order beam design – beam architectural design service from the company. Scurator Ltd Beam Design Service Scurator Ltd is a Chartered Structural and Civil Engineering Practice. Our reputation has been built on providing a first class service to our clients. We specialise in the design of steel/concrete/timber beams for the residential and commercial market place that comply with Building Regulations. We have created this website to allow us to design beams for relatively simple situations. We have a dedicated team of Chartered Engineers who are able to provide a quick turnaround for this design service. We have the appropriate Professional Indemnity Insurance to cover our design service. 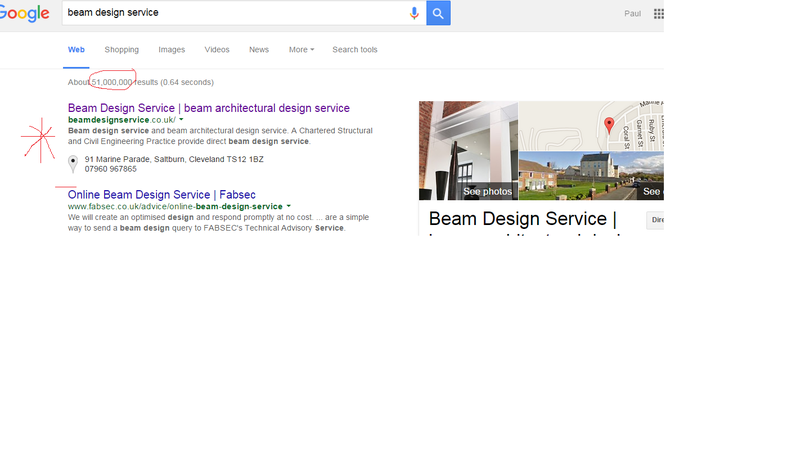 Search engine optimised for: beam architectural design service and beam design service. #Northeast #Teesside North East Business Support Fund. Current Funding Update & Future Plans. As a registered Provider with the North East Business Support Fund we wanted to give you an important update on:Funding availability – End date extended for new applications – IMPORTANT CHANGEFunding for B2C clientsFuture plans New B2B Applications – Extended Delivery TimescalesApplications are still being accepted and approved for business-to-business (B2B) clients for Projects that can be fully completed, paid for and the funding claimed by the end of July 2015 (previously end of June 2015). This extended July end date is for new applications only and has been agreed due to the recent withdrawal of a number of contracts.Please note – current projects will need to have the funding claimed by the agreed contracted end dates. A mobile disco website design. A Mobile disco website that brings a flow of new customers | superior mobile discos and karaoke hire for, weddings, birthdays, childrens parties, diy karaoke hire, childrens parties etc. 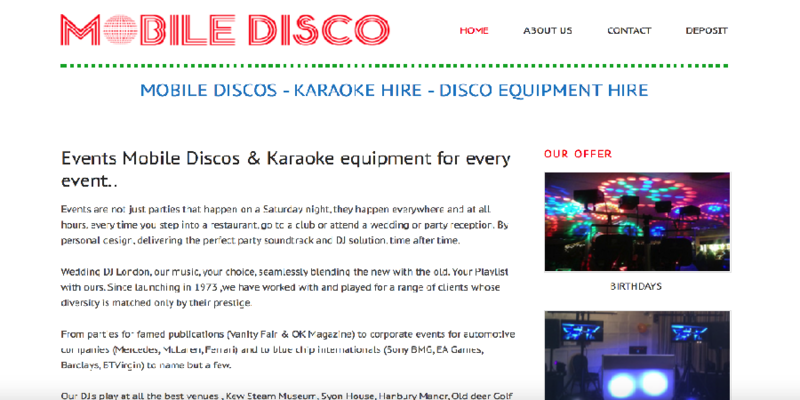 Mobile Disco Website Design for London Mobile Disco and Karaoke. Colin has operated the family owned business – London Mobile Disco and Karaoke – since 1973. 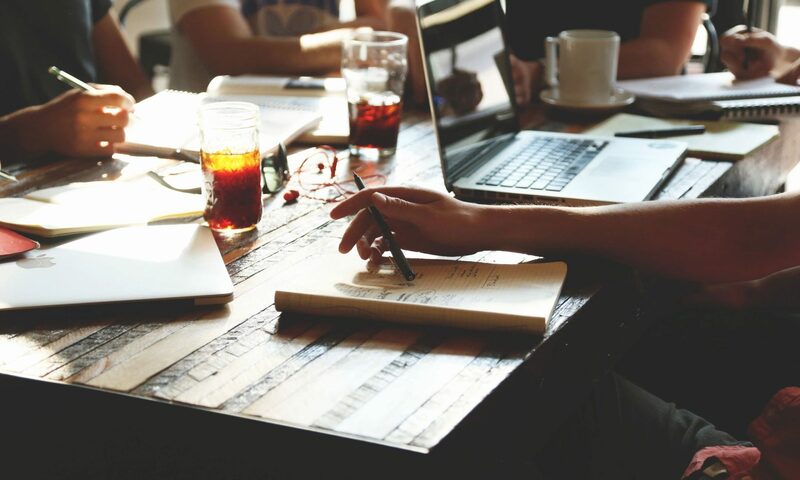 He came to us with the remit to build a simple lead generating Website Design as he had some bad website design experiences locally in London. A year after the build the site is consistantly producing enquiries. WordPress usage statistics and trends.